We have a pretty good engagement rate of around 10% but this will increase since we just took a little break from our Instagram account. Posts get viewed quite a lot and people will interact with the brand thats being sponsored. 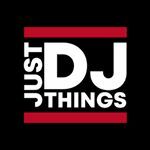 Demographic data for @justdjthings' audience is available for free to influence.co users.